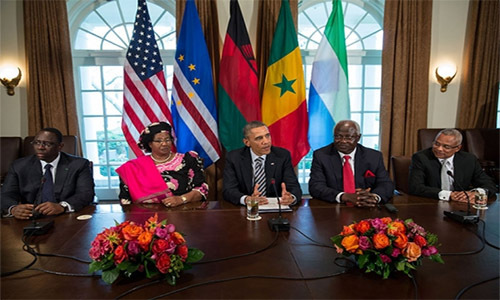 Later this year, president Obama will be hosting a summit of African leaders in Washington, where the agenda is expected to be dominated by one key issue: ‘conflict prevention and improved security in Africa’. Although democracy has made a significant impact across the continent since the end of the cold war, nonetheless there are concerns now of a shifting power struggle away from the ballot box to power grabbing through the deadly barrel of the gun. And in the last five years, in particular in Sub-Sahara Africa, there have been no fewer than six incidents of violent struggle for power, following the declaration of democratic election results, or as a result of pre-elections breakdown of law and order. 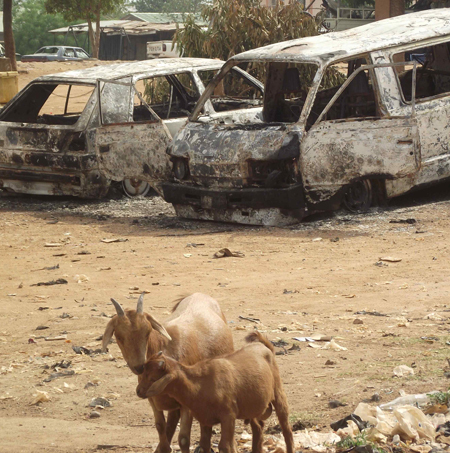 Most recently, in Ivory Coast, Mali, Guinea, Central African Republic, Southern Sudan, and to a lesser extent Sierra Leone and Liberia, the use of political violence as a means of either intimidating or annihilating political opponents, is well documented. But it is in Ivory Coast, Mali, South Sudan and the Central African Republic, where thousands have died, that the main focus of intense dialogue for peaceful resolution of brutal conflicts that are threatening the stability of the sub-region has been shifted. It is estimated that Africa is losing over $500 billion in GDP, as a result of political instability and violent conflicts. Poverty, illiteracy and poor health may have slightly improved in the last ten years, but there is little doubt the economic impact of this culture of political violence on the continent. Whilst the primary motive for the use of political violence is evidently clear – to gain or assert power, however, the question as to what fuels such brutal campaign is more complex. In most violent conflicts in Africa, it is the abundant supply of young unemployed and hungry youths, religious and, or tribal bigotry, that very often drives and sustain such conflicts. Although Sub-Sahara Africa has tremendous potential to lead the predicted global economic growth in the next five years, sadly only a handful of countries would be able to offer the level of ‘political risk-free’ investment environment required to attract large-scale investors. Hence there are fears that when the global economy starts to pick up once again, most African countries threatened by political conflicts, tribal and religious fractures, will continue to rely on international aid for their survival. The report – ‘Security in Africa 2013: Regaining the initiative for peace’, raise concerns about the sharp rise in civil conflicts, and the associated rise in planned and actual unconstitutional transfers of power. According to the publishers – Think Security Africa (TSA), these incidents have doubled between 2011 and 2013. Think Security Africa (TSA) is an independent think tank specializing in security issues across Africa. The company says that for over four years, it has been providing insight on African issues with national, regional, and global implications. TSA believes that its core mission is to improve understanding of security issues in Africa, and engage in objective research into the causes and potential solutions to insecurity across Africa. Based on assessments of security-related developments between 2011 and 2013, this new report uses maps, graphs, and other visual aids to create a nuanced portrayal of the contemporary African security landscape. “In order to improve security in Africa, we need to understand it much better. This report seeks to make often confusing and highly emotive issues more tangible,” says Adunola Abiola – founder of Think Security Africa. 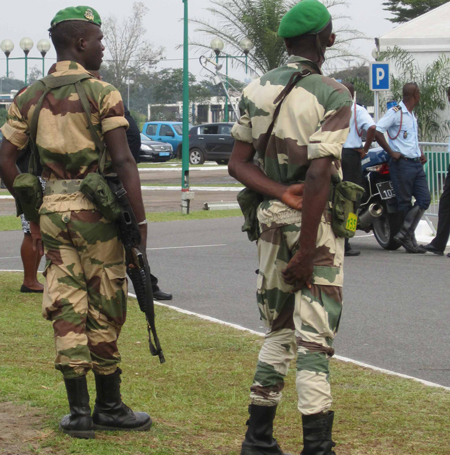 Security in Africa 2013: Regaining the Initiative for Peace in Africa, focuses on incidents of national and sub-national conflict, border insecurity, secession, coup d’état, political instability, low-intensity conflict, terrorism, maritime insecurity and protests and strikes across Africa. The report identifies a link between the rising trend of planned and actual coup d’état and civil war in Africa. It also explores the relationship between border insecurity and conflicts of varying intensities. One of the most policy-relevant findings of the report is that the most serious violence becomes most likely, when states are experiencing challenges with the national chain of command, societal management, and preserving territorial integrity – all at the same time. Most of the conflicts in Sub-Sahara Africa have come about because of greed and tribal intolerance. In Sierra Leone, we have so far been able to avoid a civil war based on tribal differences because successive administrations have been very careful not to play the tribal card. Even the late President Siaka Steven, who is regarded by many as the most despicable of all our past leaders was reluctant to openly promote one tribe over the other. Not so with this current administration. From the inception of his presidency, Ernest Bai Koroma, has done everything in his power to promote the northern province as a cradle, and the APC party as a symbol of Sierra Leone’s civilization. It is an open secret in Sierra Leone that if you are not a northerner or have strong connection with someone from the APC, it is very difficult, if not impossible to land a job. It is a fact that people who hail from the South East and work for the Government and other Agencies connected with the Government are afraid to speak their native tongues in their offices for fear of being perceived as an opponent. This marginalization of a group of people is certainly a recipe for chaos, and if left unchecked will lead to a Tribal war that will bring untold suffering to the masses, and will reverse all the gains we have made following the brutal civil war that was wreacked upon our shores by some of the very people, who, instead of serving prison sentences or atoning for their sins, are today reaping the benefits of our hard won freedom. This is yet another warning bell of alarm that we should all heed. Fortunately the Heads of States of the Mano River Union adopted a Strategy for Cross-Border Security among member states in September/October last year. To implement the strategy successfully, certain preconditions were outlined. Governments and citizens alike in these four countries must keep the momentum or face the consequences predicted. All four countries are still vulnerable. Despite the impressive growth rates and successfully conducted general elections, the root causes have not yet been eliminated. The good news is that there is political will in all four countries. The Administrations should now run along with the ball.